Oh the choices we make when we don't get enough sleep. I was up until 2 in the morning. By a stroke of good fortune a friend of mine ran into someone who runs a foundation that gives grants to people who have sight and hearing problems. My friend told the guy about my situation. The head of foundation called me and told me that he thought they could possibly help out with some of the costs of my ear surgery. Then he mentioned that the deadline was March 15 to get in all of the paperwork. March 15 I say to myself. 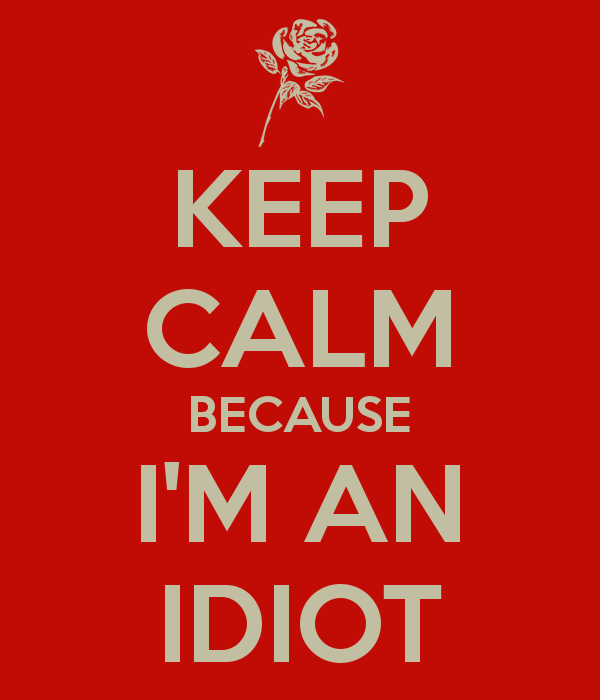 OK. No problem I say to myself. Then I drop some fruit in my looms as I realize it was March 15. Any guesses what I was doing until midnight last night? I was able to get everything in on time, but I was kinda wired after it was all said and done and had a hard time falling asleep right away. Then I am up at 6:20 to get ready for work which made today a bit of an adventure with the lack of you know what . I had to run to the mall to pick up some St. Patrick's Day socks for Sarah. I found some at Spencer Gifts, which is a novelty store but a lot of their items run a little on the adult side. I was checking out and mentioned to the guy how glad I was to find socks because I had been to several stores with no luck, and that my wife really wanted some shamrock socks with leprachauns because the kids at the pediatric clinic she worked with would enjoy seeing them on St. Patrick's Day. The Spencer guy gave me a strange look and asked me if I was sure if I wanted these socks. I assured him yes because they had shamrocks and leprechauns as requested by Mrs. Shife. The Spencer guy again asked me if I was sure these socks would fly at a pediatric clinic. I again assured me him that it was cool. I don't know why he kept nagging me on it but I am grateful he did. 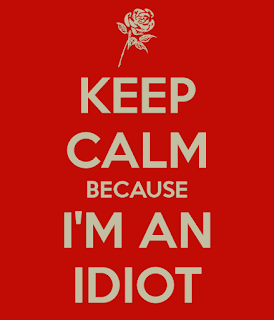 Maybe because I was wearing my "I'm An Idiot" shirt. He then told me to take one more look at the socks and then he would let it go. The fog was lifted, and I saw the light. I told the Spencer guy that he was my new best friend and an absolute life saver. 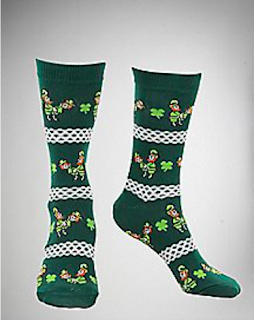 Turns out the socks did indeed have shamrock and leprechauns, but I really, really, I mean really didn't look close enough. Turns out the leprechauns were nothing but mammals doing it like they do it on The Discovery Channel. Thank goodness for observant and persistent shopkeepers. He saved your day, Matt. Good news about the grants. I have been offered similar support because Joe was a fully paid up member of an accountants society. I get plenty of advice and it will cost me nothing. Can't wait. I believe tomorrow is your big day... wishing you all the best. I'm shocked that an employee of that establishment would be paying that much attention. I'm glad that they did. I hope things work out on that grant. Speaking of socks - tell Hayden that Sally set a fashion trend in elementary school by wearing mismatched socks. The first grade was very colorful for a while. WOW, that guy really helped you dodge a bullet. I wonder what your wife would have said had you brought home naughty socks. You should buy those socks for yourself, they sound lucky.